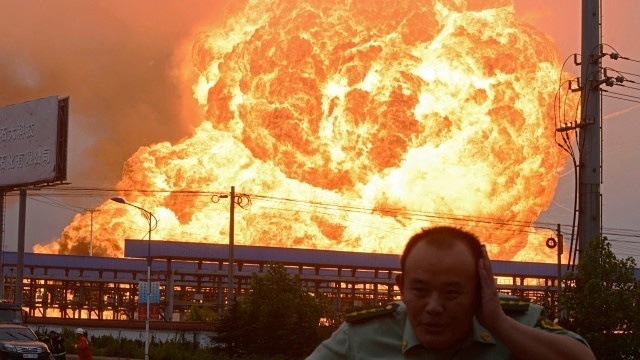 More than 50 people are dead and hundreds injured after two large explosions hit Tianjin, China, on Wednesday 12th August 2015. Many people caught the explosions on camera which are currently being uploaded on to YouTube and shared all over Facebook, Twitter and the like. See the raw footage below of how the explosions break this guy’s window! Here is more footage of the explosions synced up from six different angles. Read more on how they are dealing and coping with it all at Sky News. Even more information on the BBC News website here. ← New YouTube gaming website and app coming soon!